"Happy Birthday, Web!" Twenty years ago today, the software for the World-Wide Web was officially released. It was invented by physicist Tim Berners-Lee, to help scientists share data, but he couldn't have predicted the popularity of silly cat videos. Yelp has reviews of State prisons and local jails, in case you ever need that information. Inmates, guards, visitors, attorneys, and pranksters review and rate the facilities, some of which earn five stars. "If it wasn't for those meddling kids, I would have gotten away with it!" A Dutch hacker arrested in Spain for the biggest cyberattack in history had an awesomely equipped cyberbunker and a mobile cybervan. Identified as “S. K.” by police, he is accused of a DDoS (distributed denial of service) attack against spam watchdog Spamhaus. In Q1 2013, smartphone shipments outnumbered low-end feature phone shipments for the first time, according to analysts at International Data Corp. 216.2 million shipped smartphones accounted for 51.6 per cent of the total. AT&T Digital Life launched on April 26, 2013. The home-automation service includes options ranging from security systems to remote unlocking of doors, energy control, and carbon monoxide detectors. It’s ISP-agnostic, unlike similar services from Verizon. Google has reduced the risk of malware spoofs by requiring Android apps that were downloaded from its Google Play store to distribute updates via the same channel. Apps acquired from other sources are not subject to this Google developer requirement. While all major carriers do well in voice and text, Verizon leads the pack and has a significant edge in data speeds and coverage. So says the latest research from mobile analytics firm RootMetrics in a recent report. Should Amazon teach you about piranhas or sell bulk toilet paper? A coalition of South American governments is challenging Amazon.com’s application for the .amazon top-level domain, arguing that private companies should not be able to appropriate geographical terms for profit. T-mobile has agreed to stop misleading ads that imply its new pricing plans are “contract-free,” at least in the State of Washington. You may be able to walk away from the service, but you’re still indebted for the phone. Facebook has started dishing images in Google’s WebP format to browsers that support it (Chrome and Opera, currently). This saves bandwidth but makes saving and manipulating images difficult. 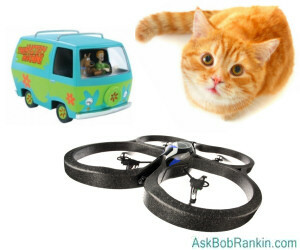 Most recent comments on "Geekly Update - 30 April 2013"
If you haven't clicked on "remote-controlled hexacopter drone arrived" in the first paragraph ("A San Francisco man popped the question"), you've missed a beautiful and unique wedding proposal! Way cool, Bob. Thanks for finding that! I don't click on all the Geekly links, but this one was worth a peek. I have Windows 7 and Office 365. When I create adocument I have no difficulties using Umlaute. But Umlaute are impossible in e-mails. What to do to fix this? Thanks for any help. While it seemed an innocuous lead in quip to your comment about Verizon's data coverage, it was a poor choice of words when you intimated that the major cell carriers do "well" in voice. Overall, voice on cell phone is poor to mediocre in quality and connection reliability. That is OK for ordering groceries, but when it is important to hear and understand the nuances in a conversation, a land line is still a must. Hi, Lotte page. You asked for help with writing an umlaut over an alphabet letter within the text of an email. I use the ALT key codes for all my diacritical and accent needs. They also work in emails. THANK, Gloria Huffman, for the umlaut info. I have a printed out list on a bulletin board for these. In my neck of the woods, weather is always a current topic so use this method (ALT + 248) for the degree sign is used frequently in emails.